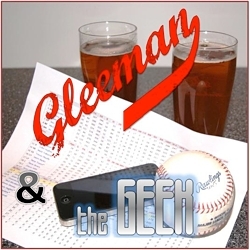 Topics for this week's "Gleeman and The Geek" episode included an emergency call to discuss the Logan Morrison signing, John Bonnes' trip to Florida for Twins spring training, what it would take for the Twins to get Chris Archer as part of the Rays' rebuild, Joe Mauer's plans for 2019, another exploding tire, Miguel Sano's post-surgery condition, Mitch Garver's odds of securing a backup job, and mailbag questions from listeners. Sponsored by Sota Stick and BarkBox.com. This week's show is sponsored by SotaStick, where using the code word "Gleeman" will get you free shipping on all orders. 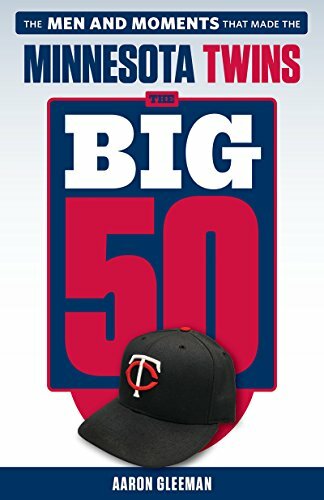 Topics for this week's "Gleeman and The Geek" episode included the Twins signing Jake Odorizzi and Anibal Sanchez, not signing Yu Darvish, Jermaine Palacios' scouting report, the value of reverse splits, old friends Trevor Plouffe and Hector Santiago finding new homes, projected payroll levels, the impact of Josh Kalk, and the state of the Twins' starting rotation. Sponsored by Pick and Shovel Wear and Casper Matresses. This week's show is sponsored by Pick and Shovel Wear. Go to PickAndShovelWear.com and use the promo code "Gleeman" for free shipping on all orders. Topics for this week's "Gleeman and The Geek" episode included Super Bowl week in Minnesota, watching the Eagles' victory in person, debating the slow offseason's causes, recapping the Minneanalytics Sportcon event, and revealing Baseball Prospectus' PECOTA projections for Minnesota Twins players and the overall team. Sponsored by Harry's Razors.